Since 1900 A.R. 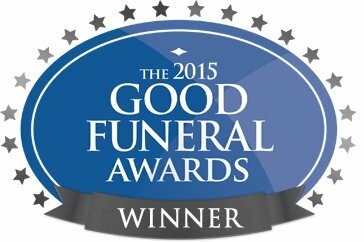 Adams (Funeral Directors) Ltd has looked after client’s information (now called “data”) with the utmost respect. We pride ourselves on our attitude to your privacy. Under new EU-wide data protection rules (GDPR) which came into force in May 2018, we are known as a “Data Controller” and at other times as a “Data Processor” (such as for pre-paid funeral plans). Your data will be processed and stored both manually and electronically by A.R. Adams (Funeral Directors) Ltd, and will form part of our historical archives for easy reference in the future. You have the right to view the information we hold about you (within 30 days of you requesting it), and to have your information corrected or removed from our files. You can do all of these things by this by writing to Bradley Adams at the above address. Obviously if you request this during the course of our contract we will be unable to provide our services to you. If you have a complaint about the way we have handled your information, you can in the first instance, write to our Data Protection Lead, Bradley Adams, at the above address. If this does not address your concern, you can contact the Information Commissioner’s Office. Their details can be found on their website: www.ico.org.uk .